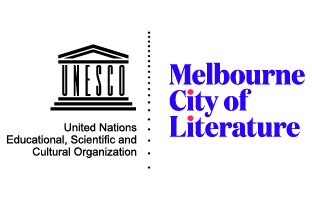 ← Australian Print Poetry and the Small Press: Who’s Doing the Books? 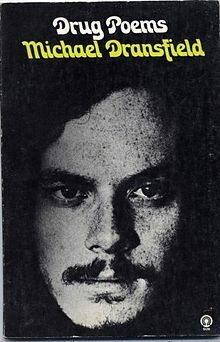 Michael Dransfield’s Drug Poems was published by Sun Books in 1972. Many of you will be clued-in on the recent commentary re. Gray and Lehmann’s Australian Poetry Since 1788 anthology, published toward the end of last year. 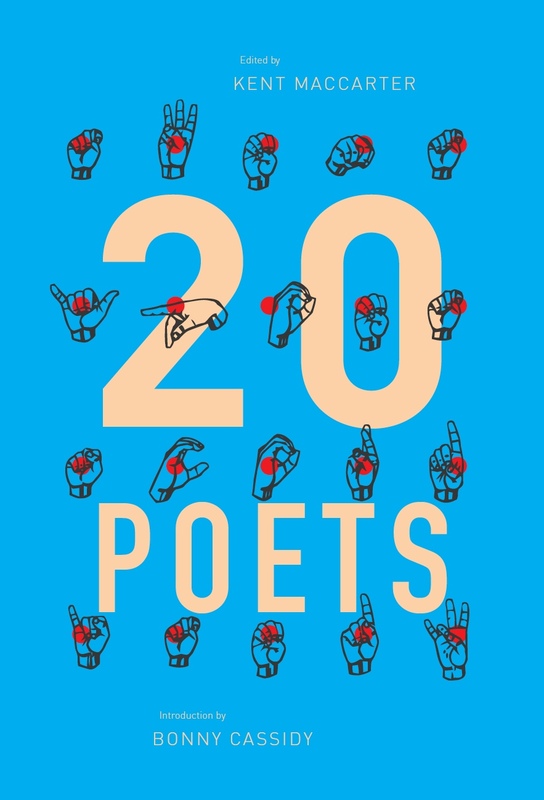 One of the criticisms of the book has been the choice of poets included, or rather, excluded in the volume; notably, a nexus of contemporary poets described by Peter Minter as working in the mode of ‘counter-modern lyricism’, a number of post-war Aboriginal poets – and Michael Dransfield. (For those after a crash course on the debate, check out Peter Minter via Michael Farrell here, John Tranter here, and Rochford St review here). For me, as for many of my writer-friends, Dransfield was a key entry point into Australian poetics. This hoo-ha has collided with some of my own recent thinking about the legacy and relevance of Dransfield today, more or less half a century after his last poem was written. I had the fortune of being introduced to Dransfield by Pat and Livio Dobrez as an undergrad at the ANU. I’d enrolled in a lit theory course, and each week twenty of us would cram into the light-filled office corner office they shared. One week, Livio snuck Dransfield onto the reading list. At the time, I had no idea that the two had respectively published the two major texts on Dransfield: The Many Lives of Dransfield (Pat), and Mad Parnassus Ward (Livio). But I do remember reading ‘The Technique of Light’ and loving it. Then I suppose I forgot about him for a while. More recently, in late 2011, I took a trip on the Countrylink Express, stocked with my iPod, enough change for a sandwich and a Devonshire tea from the buffet cart, and a copy of UQP’s Michael Dransfield: A Retrospective, edited by John Kinsella. My intention was to allow myself a lengthy stretch of time to really engage with one text, something I take the opportunity to do much too rarely. Dransfield was chosen because I’d been doing a lot of thinking about ecopoetics, and I’d been listening to a lot of Australian post-punk, and I just had a hunch that these three things would spark off each other somehow. It was an atypical Melbourne morning: damp foggy and cold – a precise kind of complement to Dransfield’s poems. As the train set off through the drizzle, I suspected I was about to become haunted. And I was right. In this poem, Dransfield articulates the struggle of maintaining a rich internal life in a personable city whose entreating nature slaps at one’s ego. It was a gripe I could relate to. 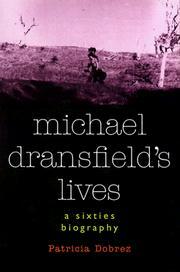 Michael Dransfield’s Lives was published by Melbourne University Publishing in 1999. Food does not rate a mention in Dransfield’s oeuvre, which is not to say he was absent of hunger, craving or vice: he is often glossed as Australia’s iconic drug-poet, and the drug experience is certainly flecked through many of his poems. Yet Dransfield isn’t fundamentally about the drugs. He is more about gradients of exile, searching for a home or place, or at the least the glint or smacking weight of concreteness. Dransfield takes nothing for granted, even in boredom, or exile (read: rehab). But this also seems to be his greatest conflict. He can’t help but keep the skull beneath the skin in constant purview. This reprint edition of The Streets of the Long Voyage was first published in 1972 by the University of Queensland Press in their Paperback Poets series. This was Paperback Poets 2. I looked out the window from time to time, his mythic Courland Penders appearing and disappearing in green and drenched paddocks, clusters of trees hinting at pensive homesteads concealed further off. This was the point at which I realised Dransfield’s spectral intimations were really getting at me. Dransfield of course died young at 24, just prior to the cultural postmodern surge his poems were beginning to predict. His early death is a fact both poignant and profound to our subsequent mythologising of his work. Just like the creation of his own Courland Penders, Dransfield encourages us to project onto him our own kind of place-making. So perhaps we can say his relevance lies in the imaginative potential his poetry continues to spur. Towards the end of the trip I switched on The Go-Betweens while reading. ‘Dust from the creek covers the sky’, sang Grant McLennan. ‘Before rain; dust nothing else’ Dransfield replied. I wondered (I continue to wonder) what Dransfield would have thought of The Gos. I wonder what he would have thought about that whole post-punk generation: The Triffids, The Laughing Clowns, The Church. They share a similar clammy aesthetic, a similar ecological vibe. In his essay ‘Michael Dransfield’s Innocent Eyes’, Derek Motion discusses Dransfield’s a-temporality. 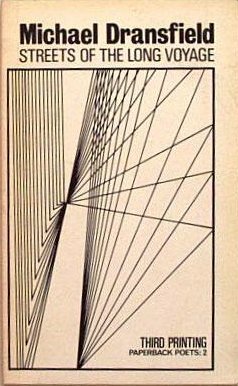 He notes that ‘Dransfield sees what he likes, in the way he likes, and then knits his field of vision into an a-temporal firmament’. I think he’d been travelling as a ghost long before he died. Kinsella too suggests as much, prefacing the collection with this quote from Dransfield circa 1969: ‘I’m the ghost haunting an old house, my poems are posthumous’. I don’t quite know how to pin down what it is that has made Dransfield so keenly beheld by me and many of my friends, though I think that all of this gestures to it, ‘a welter of corollaries’. Perhaps it’s his youthful temperament, perhaps this is beside the point: his is a poetry that speaks forward, into post-punk, and ecopoetics and beyond. And to my mind, poetry with impetus like this is the only kind worth anthologising. This entry was posted in GUNCOTTON and tagged derek motion, Emily Stewart, michael dransfield, post-punk. Bookmark the permalink.